There is a theory around that the upcoming public holidays and subsequent disruptions to sales and lamb supply has been pushing processors to buy up in markets to secure supply. However, if Meat and Livestock Australia’s most recent projections are to be believed there might be more upside to come. 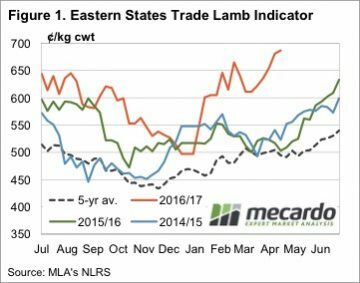 The pace of the rally in the Eastern States Trade Lamb Indicator (ESTLI) slowed this week, but it still went up. The ESTLI finished Wednesday at 687¢/kg cwt (figure 1). While the stronger prices of the last month might have something to do with a demand spike, it’s more likely to be underlying tight supply supporting values. Figure 2 shows lamb slaughter still tracking well below non holiday weeks last year. It seems that there is 20,000-30,000 fewer lambs available each week, and processors are competing hard for these lambs. It was about this time last year that lamb prices started to rise, and there is some suggestion there might be more upside. All the news in recent days has been MLA’s sheep projections, with the headline figure being a 6.3% fall in lamb slaughter this year on the 2016 record. According to MLA’s weekly slaughter numbers, so far in 2017 just 1.5% fewer lambs have been processed. 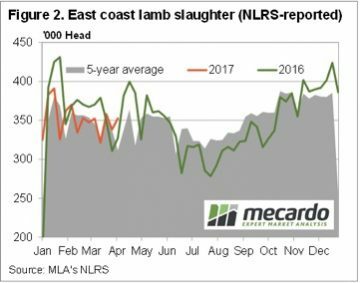 This simply means that if MLA are to be correct, lambs slaughter needs to become a lot tighter relative to 2016 for the rest of the year. Driving MLA’s figures were results from the February MLA/AWI survey with the key figures being 34% of producers intending to increase flocks, and 59% intending to maintain. 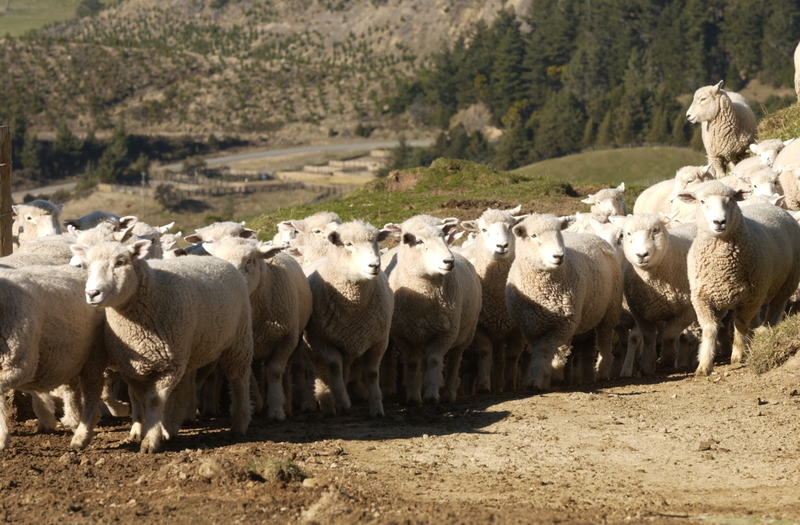 Of those intending to increase the flock, 56% are going to retain more replacement ewes. This basically means that of the fewer lambs born in 2016 and 2017, fewer are going to be available for slaughter. We’ll have more on the survey results and MLA projections in our analysis next week, but the initial reading looks encouraging for lamb prices for the rest of the year. The result should be interpreted with caution, however, as grower intentions in February are one thing, what they actually do given whatever the season delivers is another altogether. The short weeks coming up are likely to see a bit of volatility in saleyards, but over the hooks prices are remaining strong which might be a better option for the risk averse.